Woman’s Day Magazine: Only $3.99 per Year! 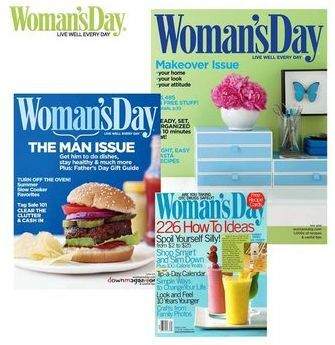 Today only, you can score a great deal on Woman’s Day Magazine. And, remember, Woman’s Day always has a bunch of great coupons inside. This deal will be valid through Tuesday, October25th at midnight (EST). You can purchase a subscription for yourself, gift subscriptions for others and/or also to renew an existing subscription. Remember, magazines can be a great source for unique coupons! There were over 20 coupons in the October edition of this magazine, you can see them here.